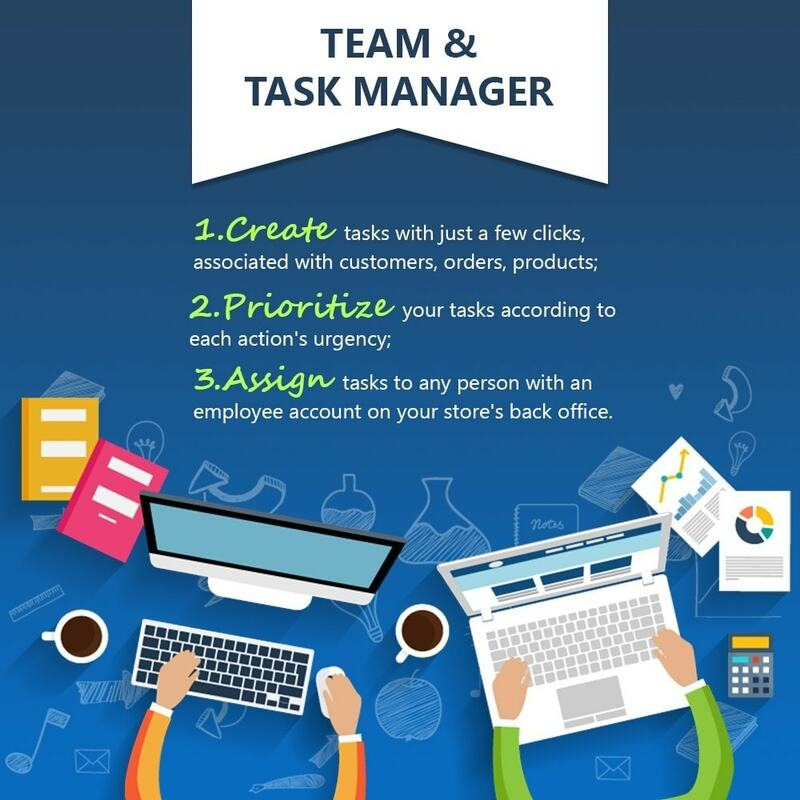 Associate a task with any customer, order or product. 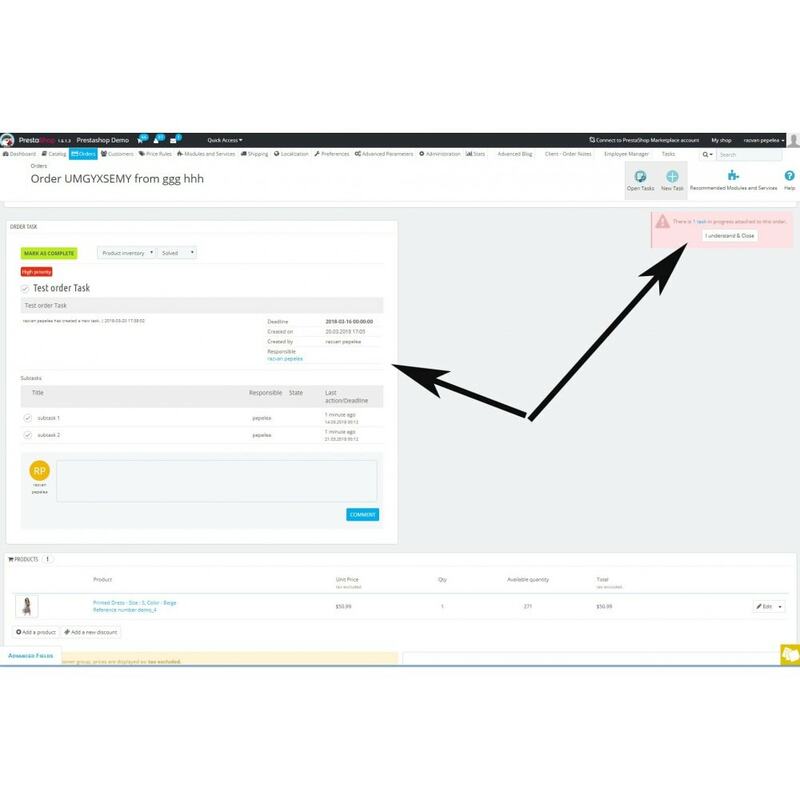 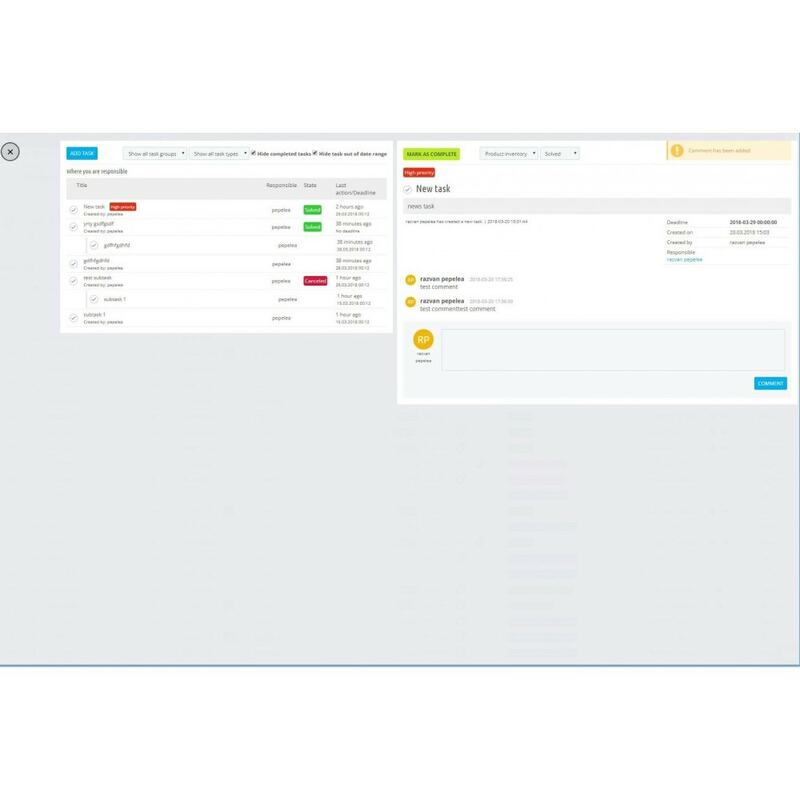 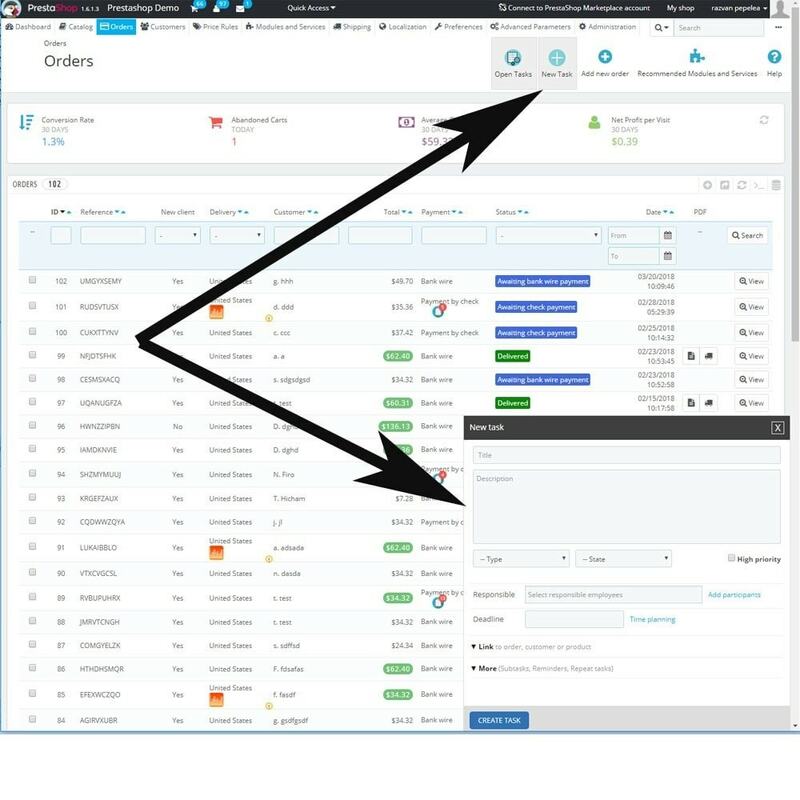 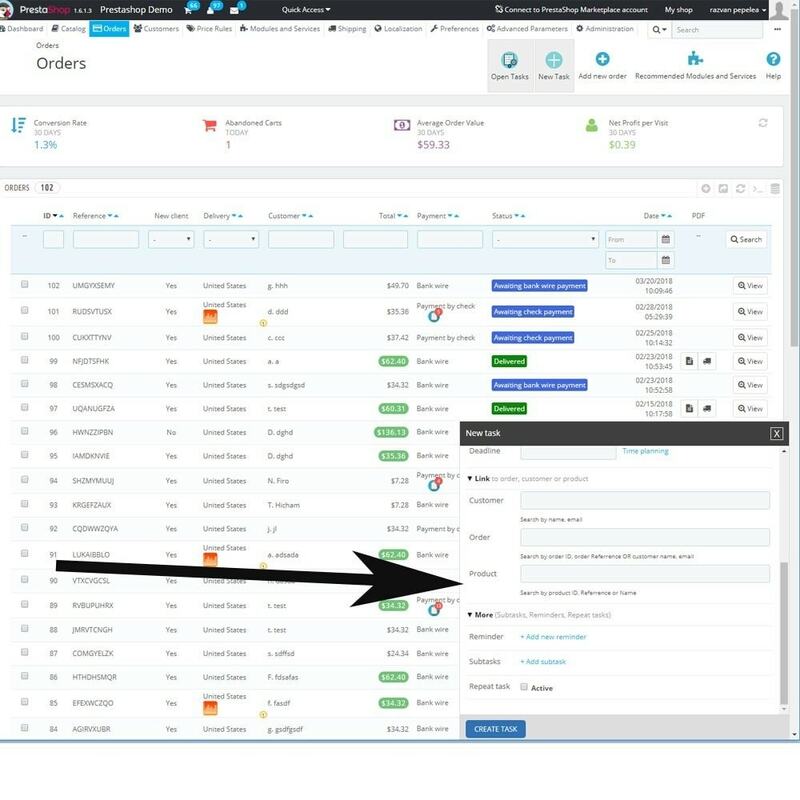 When opening any customer, order or product that have at least a task associated with them, you will see the task opened on the page with a warning if the task is not finished.Also, a tag will appear in the customer, order, product page if it has an open task to let the user know. 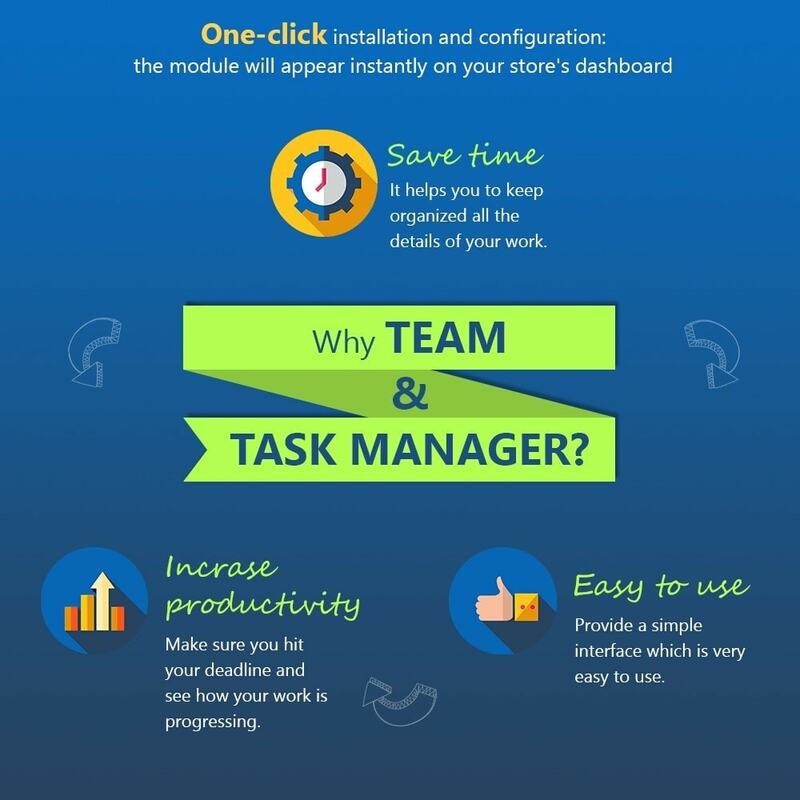 One-click installation and configuration: the module will appear instantly on your store's dashboard This is the easiest method, but it may not work in certain cases.